Beautiful melodic lines thoughtfully embrace the hope of a granted wish upon seeing the first star in the night sky. Based on the endearing nursery rhyme, this piece seeks to capture the simple, yet uplifting nightly moment to which all can relate. 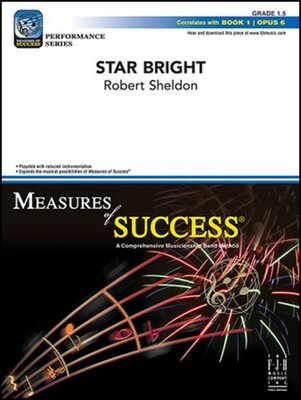 (2:30)<br>Correlated with Measures of Success® Book 1, Opus 6.